Life is too short to fret about messes. Hannah did not get the more relaxed mama. I did cry over spilled milk. 🙂 I screamed over spilled mess. I shamed her over spilled milk. No wonder firstborns tend to be perfectionist- because the parents develop that in them by following behind them and straightening their bed after asking them to do it thus sending the message that what they did was not good enough. Firstborn kids only have their adults parents as models so they try to do things like them which is impossible for a toddler to live up to. This is a fun and cheap way for kids to play. 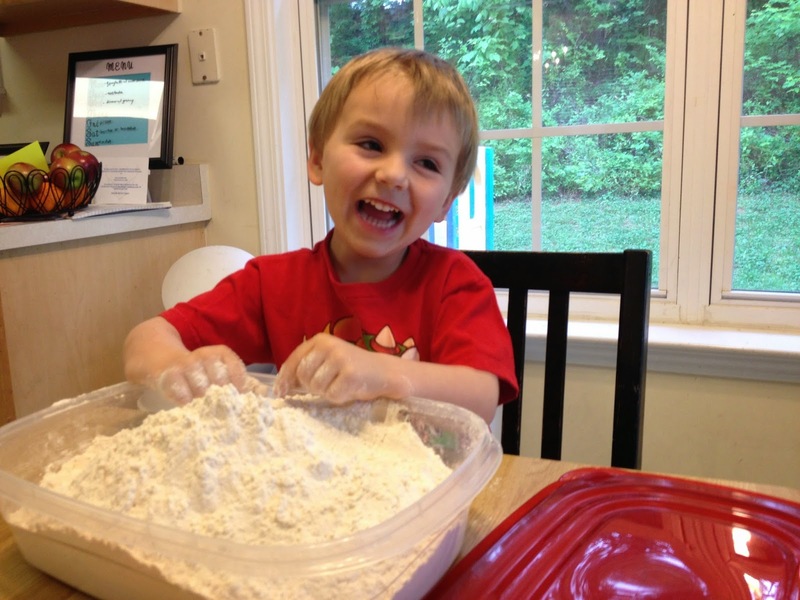 I bought 2 cheap 5lb bags of flour and then two rubbermaid tubs for a total of $ 7 bucks for hours of fun. My wonderful mother in law came over today while buddy was elbow deep in flour and said, “You are a brave mom.” What a sweet compliment. I want to be a brave mom. A chill mom that can have fun and clean up the mess later. It is a learning process. 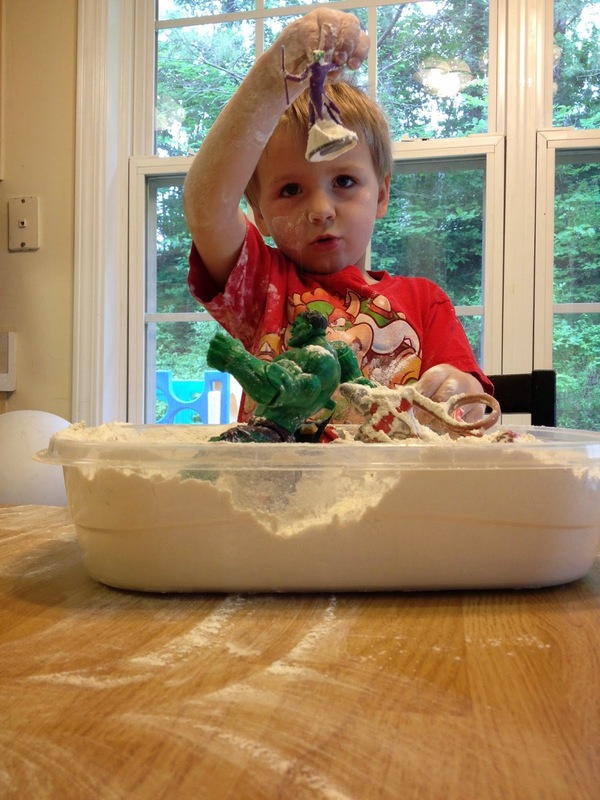 In the beginning of embracing the mess, I will let them play with the flour but then I would be over their shoulder nagging, “Be careful. Oh, don’t get it on the floor……” It is now better to let them have fun and when done sweep what is on the table back into the tub. I enlisted my 6 year old to vacuum the floor and wipe the table.